Introducing one of Shaughnessy Rental’s more popular lifts, the 50′ 4wd lift. This 50′ platform height lift allows the operator to maneuver, set up and operate the SD50 work platform without leaving the platform, especially on uneven surfaces. Rough terrain tires are standard and the 4wd ability allows the user to transport this lift over rough terrain. 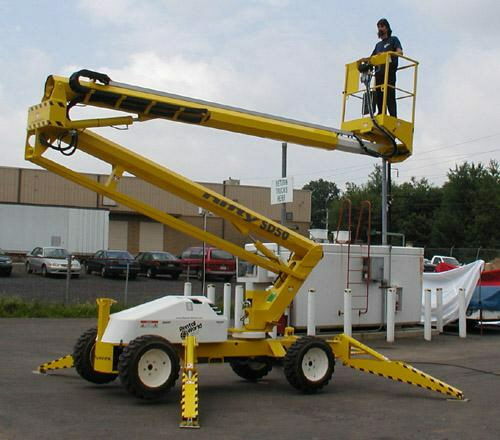 The outstanding reach on the lift makes it ideal for tree care or construction site work. The possibilities are endless with this lift found exclusively at Shaughnessy Rental!